Hi everyone! I'm Courtney from Polka Dot Lesson Plans. 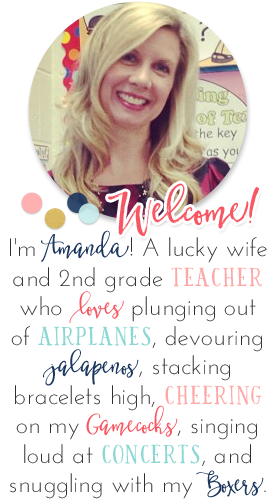 I'm very excited to be here visiting on Amanda's wonderful blog! 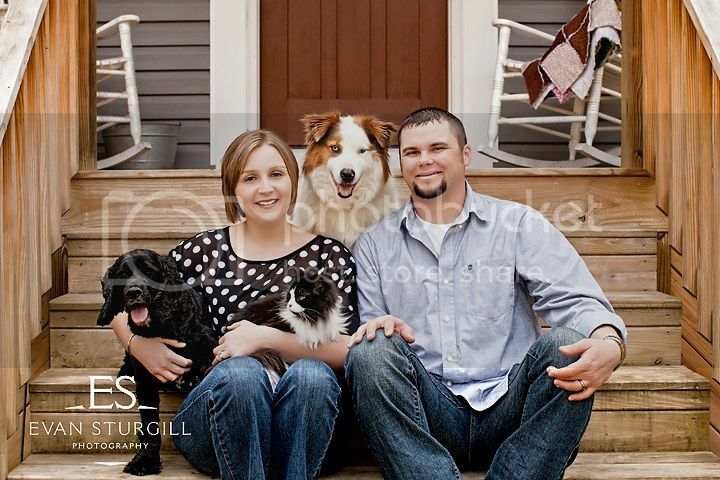 I'm from Virginia and I live on a farm with my incredible husband and all of our many four-legged kids! We have horses, donkeys, mules, cows, chickens, pigs, dogs, and cats! I enjoy spending a lot of time outside with my husband and our animals. Here I am with my husband and our "house" kids! And in a polka dot shirt - image that! When I'm not outside I like to sew, scrapbook, and do other kinds of crafts. I've always got a book with me no matter where I might be. In the summer my husband shows our horses and its one of the things I love the most about summer because we to spend time with our friends and family. We teach Sunday School at our church and are very involved there. 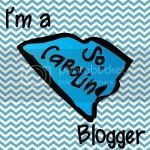 My newest addiction hobby is blogging! I can't get enough of it. It's so hard for me to believe that I will start my 8th year in the classroom in August! Wow! Time really does fly when you're having fun. I've been teaching 4th grade for the last 4 years and when school goes back in August I'll be with a fantastic group of 4th graders teaching English/Language Arts. I feel very blessed to be in the position I have now because reading is my all time favorite thing to teach. I am very passionate about books and I make it my personal goal to see that students find books that help them fall in love with reading too. If you were to take a peek inside my reading classroom you might find us all on the rug lost in a good book or having a conversation about the last great read we just finished. Self Selected Reading time is always a priority in my classroom, so you're likely to see students who are reading a text they've chosen. During silent reading time I like to have individual conferences with students about what they are reading and sometimes I'll meet with a small group. I teach in an inclusion classroom and have the help of a fabulous special ed teacher and an instructional aid as well. My instruction is very differentiated. I'm always looking for any new idea I can use to help all of my students meet their potential. When designing lessons and activities my number one goal is to make sure that each child is engaged in the lesson and can participate at his or her level. I like to have my students work in collaborative groups or pairs. This past year I gave students a talking partner. The partners were on similar reading levels and also had similar interest. I would often ask students to sit beside of their talking partner at the rug during our mini lesson. Anytime we had a "stop and think" moment I had the partners share and discuss with each other. I also had partners working together in texts at their reading levels to practice the skill we were discussing that week. I'm lucky enough to work with some incredible people, so when I'm having one of "those" days they are what gets me through it. Well, that plus the bible verses pinned to my bulletin board, humming my favorite KLOVE songs, and a healthy dose of chocolate! My can't live without teaching resource is Evernote. It isn't really a resource just for teaching, but since I've started using it my teaching life has been so much more organized. I create notebooks and notes for each subject and topic I'll be teaching. When I come across a great idea on a blog or website I can just clip it to that notebook. Those notebooks are the first place I look when I start planning (and then I go straight to Pinterest)!! I also use Evernote to keep up with ideas I have for lessons and units I'd like to work on in the future. I used to have those little notes scattered everywhere, but now they are all in one place! Next year I'm even planning on using Evernote as a way to keep my anecdotal reading notes. My blogging goal for this year is to schedule more posts. I've just discovered how liberating scheduling posts can be. So far I've been pretty consistent with posting, but as school starts and things get hectic I'd really like to schedule more of my posts so I can keep up with blogging and do some relaxing at the same time! I also have plans to start a Teachers Pay Teachers store, I've just not gotten up the nerve to do it yet! Yikes...it's a scary thought for me, but I've put it on "the" list which means I'll have to give it a try! Thank you so much for listening to me babble on about myself! 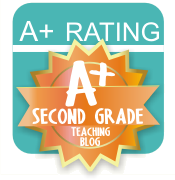 My favorite part of blogging has been getting to know so many wonderful teachers! I hope you'll come visit my blog so I can get to know you as well. So happy to meet another intermediate blogger! I have never heard of Evernote before. Thanks so much for sharing! :) I cannot wait to check it out. Catherine, I'm thrilled to find your blog. I just hopped over and started following you on Bloglovin'. I'm hooked on Evernote, so be warned - it is addictive! I loved learning more about you! I did not know about all of your animals! That is great! I am just beginning to use Evernote, so I can't wait to get some tips for you! Amy, it's like a zoo around here most days but I wouldn't have it any other way! Catherine, I'm so glad I came across your blog.